The first item that I wanted to get at CVS was the Milani Multitasker Face Powder. To be totally honest, the only reason why I bought the face powder was because of the embossed design that is delicately etched on top of the powder. It seemed reminiscent of the illuminating powder from the Chanel Bombay collection or the Chanel 2011 Holiday highlighter. Both have beautiful embossed designs that really set them apart from your ordinary everyday highlight powder or illuminator. The next two items I threw in my basket at CVS were the Sally Hansen lustre shine nail polishes. I had first seen them at Walgreens but I didn't want to pay almost $9 for them. 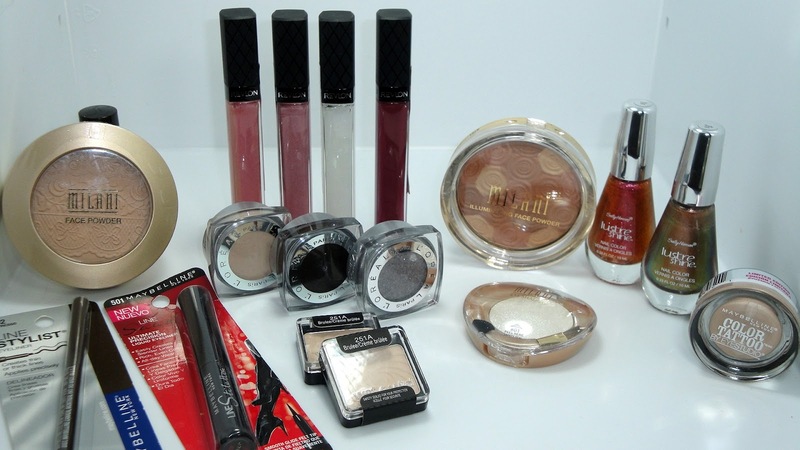 However, I knew if I could purchase them at CVS I would earn beauty rewards bucks off of future purchases so I waited. At first glance I was hesitant about buying these because the formula seemed rather sheer and I was afraid the polish would look to streak-y on my nails. There were a few streaks when I painted my nails but once I applied a top coat it helped to smooth the polish to a nice shine. The L'OREAL COLOR TATTOO eyeshadows have been on my "must try these" list ever since I saw the display at Ulta. They look so much like the MAC paint pots! I currently use MAC Bare Study and Painterly paint pots, which are nice, but if I can find a cheaper alternative, then that's even better. I ended up buying #100 Barely Beige. 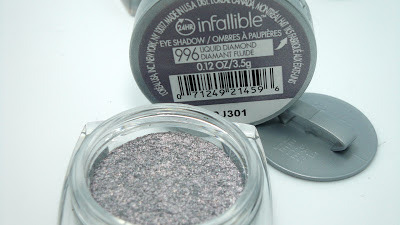 Next up on my list were the L'Oreal Infallible eye shadows. One of the things that I liked most about these eyeshadows are how the lids are similar in color to that of the product contained inside of the little pots. No more blindly searching for a certain eyeshadow and it's right under your nose the whole time! Anyway, I wasn't looking for a particular shade or color. I did however want something that would transition seamlessly from the Fall to Winter season. I was also hoping that I might be able to find a few shades that would be perfect for the Holidays as well. I finally settled on #996 Liquid Diamond, #891 Continuous Cocoa, and #899 Endless Pearl. One of my favorite MAC eyeshadows is Brule. 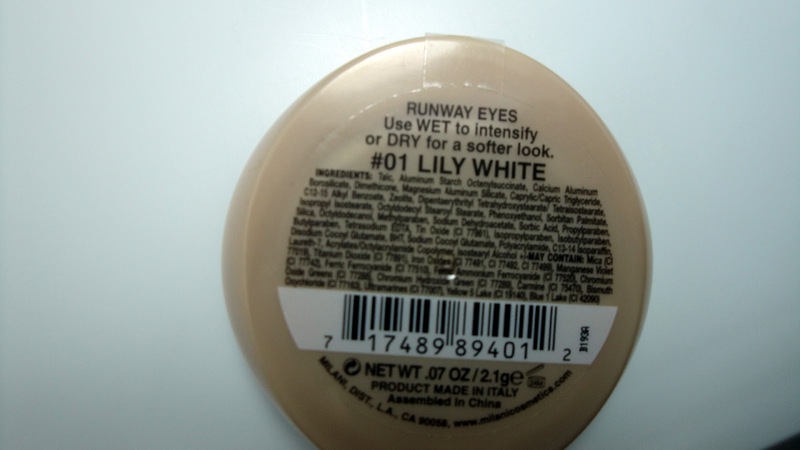 It is described as a soft creamy vanilla beige color. Anyway, I had heard that Wet and Wild Brulee is an exact dupe for MAC Brule so I thought I would give it a try. I've never worn Wet and Wild products before other than their lipsticks, which have a decent wear time. Wear time for MAC Brule is a solid 8 hours for me with no creasing so I'm hoping I can get the same results with the Wet and Wild eyeshadows. There was a BOGO deal going on with all Wet and Wild products so I bought two of the Brulee eyeshadow. Revlon makes some really nice lipglosses and their Colorburst glosses are amazing. I have several of them and I find myself reaching for them more so than my more expensive glosses. The colorburst lipgloss formula is non-sticky with a slight vanilla scent. When you first apply the gloss it feels a little thick and has a slightly heavy feeling on the lips but it isn't as noticeable as it might sound. The only drawback to the Revlon Colorburst lipglosses are their color range. They have your typical pink, mauve, peach, etc. lipgloss colors but anything outside of that range is seriously lacking. Overall these are wonderful glosses to have. I am currently on the hunt for a wintertime bronzer / highlight face powder. I decided to try the Milani Hermosa Rose Illuminating face powder. Its an ultra-smooth highlighter, bronzer and blush that can be used to give the face a nice warm glow, but not look to over done. I want that kind of glow, the kind that you can get from sitting in front of a lit fireplace. Or the flushed look you get when you come inside from the freezing cold, with cheeks that are bright pink from the wind's force upon your face. Hopefully, this powder will be up to the task. With November and Thanksgiving just around the corner - holiday parties are fast approaching. That is why I decided to buy the Milani eyeshadow #01 Lily White. It contains just enough sparkle to make this a "Must Have" for any holiday party. I bought these two eyeliners because I'm trying to find a cheaper alternative. I am currently using Chanel's waterproof eyeliner but after a while it gets quite expensive. So I'm going to try these two in the hopes that one of them will be a good replacement. Featuring the limited-edition OMBRE CONTRASTE in Notorious. This unique powder acts as a sculpting veil for eyes and face, subtly defining features for a sophisticated, stylishly contoured effect. Part of the limited-edition CONTRASTES ESSENTIELLES Collection. 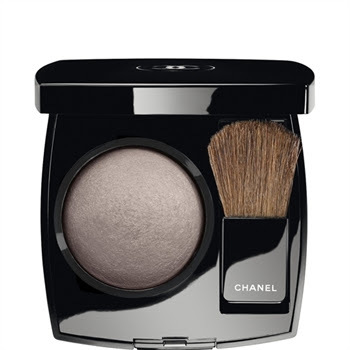 CHANEL NOTORIOUS SCULPTING VEIL is a gorgeous plummy- taupe grise color. I'm so overjoyed to have finally gotten my hands on this product. I have been stalking the Chanel website for months in anticipation of it's launch. Now, keep in mind I just got the sculpting veil late last night so I haven't had a chance to test it out. 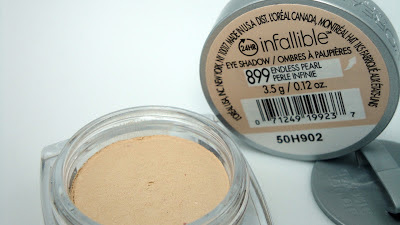 However, over the next few days I'll try to incorporate it into my everyday makeup routine to see exactly how it performs. 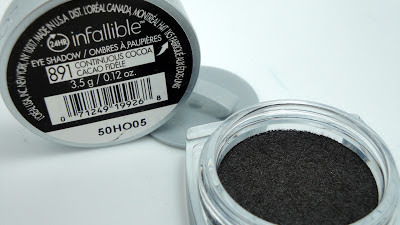 I'm hoping that even if it doesn't perform well on my face that maybe it will redeem itself as an eyeshadow but you will have to check back to find out! The Notorious sculpting veil is available on the Chanel.com website and it's currently priced at $43.00 USD for .14oz.